Dr. Davis and his wife Mary (Ms. Nettie) are one of the founders of Landmark Mission Projects. Dr. Davis went home to be with the Lord in November of 2018. 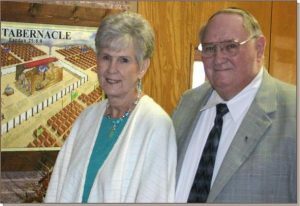 However, Ms. Nettie still handles the funds for over 30 missionaries and mission projects as well as the secretarial duties of the ministry. Click to see a documentary of their work in Brazil.